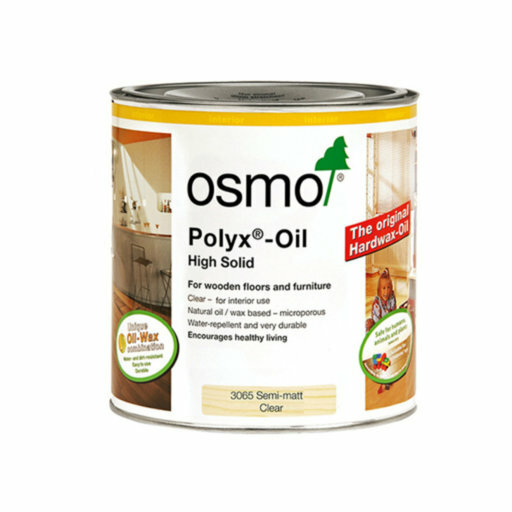 The Osmo Polyx-Oil is a professional, clear, satin finish oil for all wooden floors (solid wood floors, laminated flooring, oriented strand-board etc.). Can be used on cork floors, terracotta and other unglazed tiles. It is also well suited for the treatment of furniture surfaces (i.e. table tops). Product based on natural oil and wax Osmo Polyx-Oil is based on natural vegetable oils and waxes. Natural oils and waxes penetrate deeply into the wood, keeping it elastic and healthy, and preventing it from getting dry and brittle. The wood is allowed to breathe. Moisture can evaporate. Shrinking and swelling are reduced.